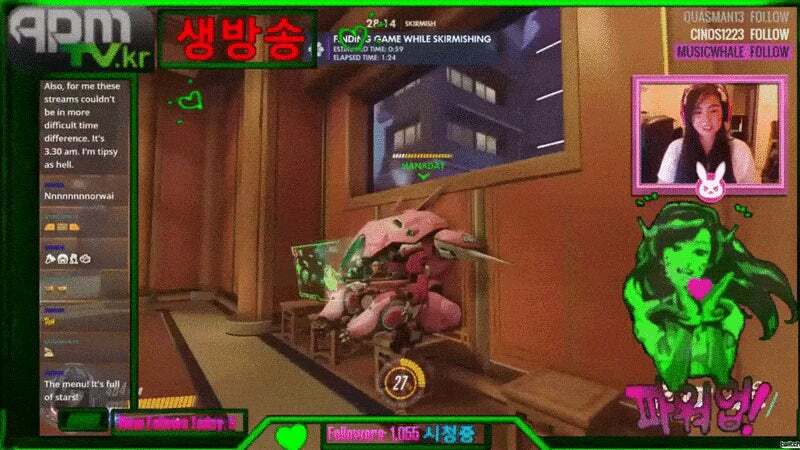 Blizzard recently gave Overwatch's D.Va an in-game stream overlay for her sitting emote, which GraphicFeedback recreated for their friend, streamer Hanaday. The result? D.Va streaming D.Va, who is, in turn, also streaming. Perhaps we're all being streamed by larger, realer versions of ourselves. A chilling thought.